Stressed? Depressed? Stressed and depressed? Hear ye, hear ye! 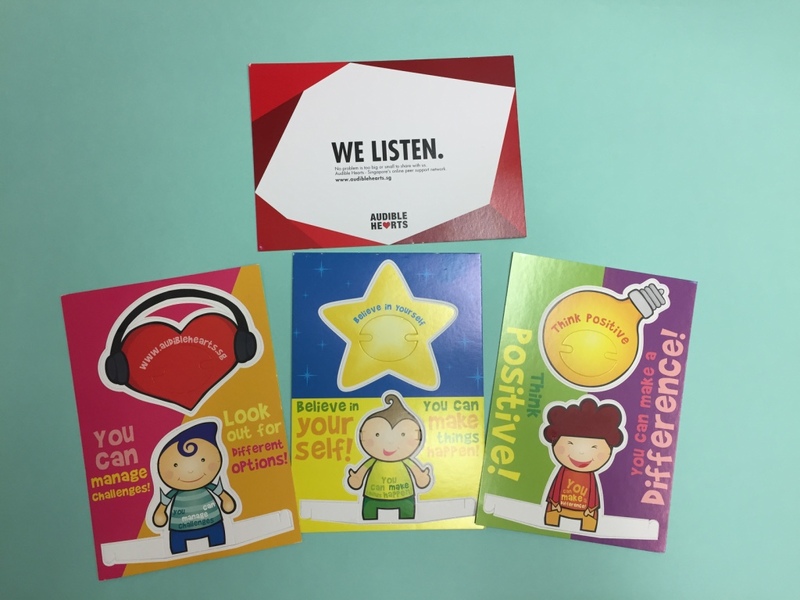 The counsellors at Raffles Guidance Center are collaborating with the Community Advocates group Lifeline to bring you “Keep Calm Week” from tomorrow until the end of the week! The concept of keeping calm is clearly not native to the Rafflesian mind. The Y6s have prelims, university applications and A levels in over 2 month’s time. The Year 5s have SPAs, PW deadlines, and promos in just over a month’s time. Stress is inevitable and can be healthy in small doses, but it can cause us to tip when it goes over a certain level. It’s important to be aware of that, and Keep Calm Week, as a maiden attempt to get Rafflesians to de-stress, is part of the effort to create a community that takes care of one another. As exams and deadlines loomed, the counsellors thought “there was something [they] could do about it”, like reminding students to take care of themselves a little bit better. Eager to carry out this initiative, they researched on various stress relief activities that other schools do for their students, and asked Lifeline to help organise the activities, as “students would be more aware of what their peers are doing… their input would be more relevant”. 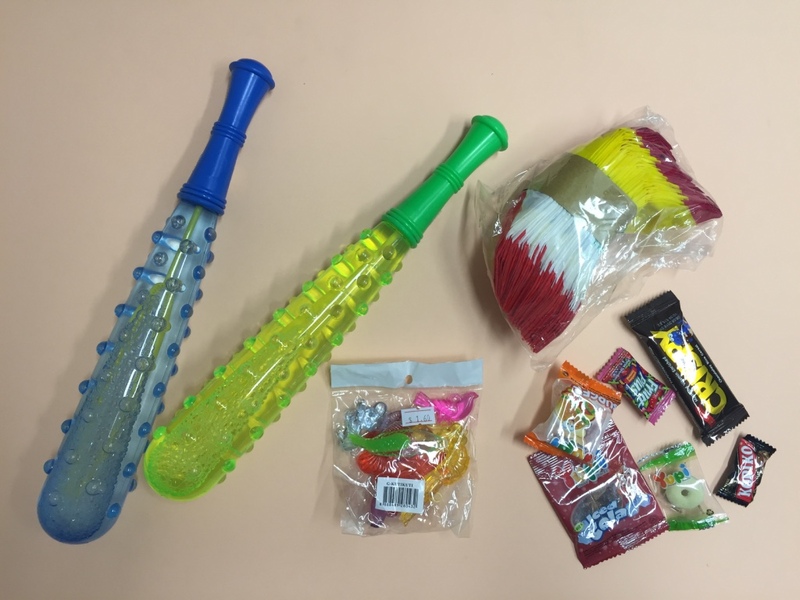 Revisit childrens toys like the bubble sword, kuti-kuti, and inflatable plastic balloons! Lifeline will also be providing free bubble-wrap for stressed students to pop. A variety of sweets are also available, free for the taking. 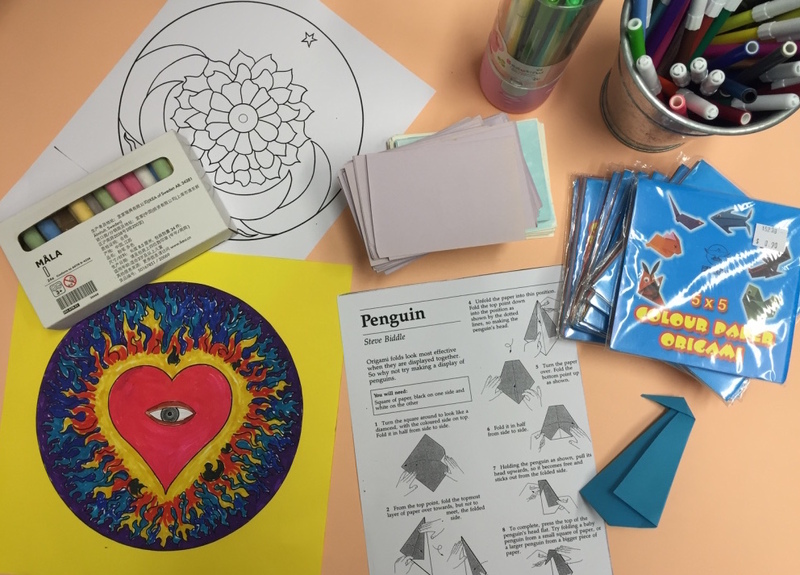 There will be a chalkboard that you can draw on; you can take mandalas and color them in; origami paper will be provided along with instructions to make them; cards and markers will be left there for you to write notes to encourage each other! Free postcards for you to take! Alternatively, feel free to write one to your friend. 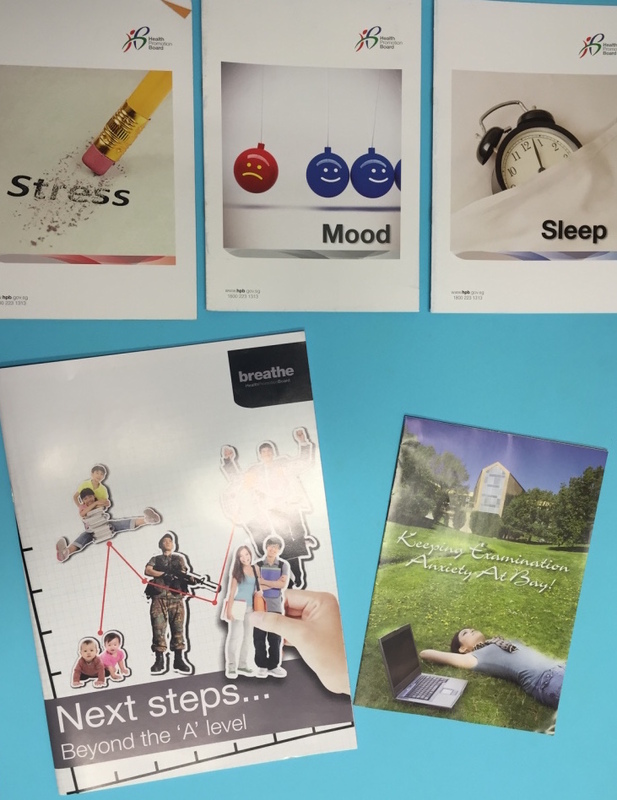 There will also be pamphlets you can take back to read about maintaining study-life balance and keeping healthy! Understanding full well the challenges such an effort will face, Gao Yue Ying (16S06N), IC of the Lifeline organising team enthuses: “As Community Advocates, I think that as long as we have touched one life or made one person’s day, we have made a difference.” The counsellors and Lifeline hope that students can just take some time to destress, and in Yue Ying’s words, “remember what it’s like to throw away your worries for a while, and focus on a mindless, cathartic game of bubble-sword fighting.” We at Raffles Press sincerely hope so too. Happy Keep Calm week!